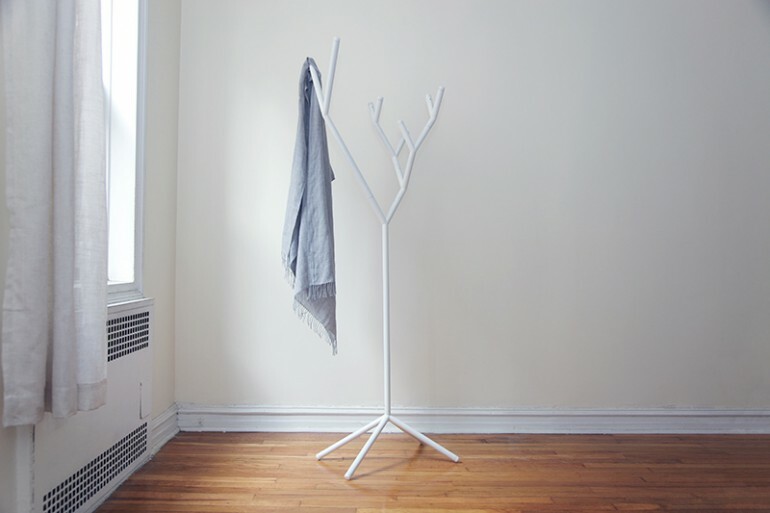 Y-rack is a modular coat rack system which can be reassembled in numerous configurations from short to tall versions, depended on users. It consists of two different Y-shape modules, a center pole and a base. The design is inspired by nature phenomenon that one splits in two such as cell division and tree branches. The overall form is influenced by traditional Taiwanese outdoor clothes dryer which has many Y-shape sections for holding clothes and rods.